One reason my best friend is my best friend is she knows how to celebrate each day to the fullest. She is an inspiration to me, and I have become more positive and full of light due to our friendship. We often think of celebrations as centering around special occasions, like Birthdays, Christmas, or other holidays. But there is no need to wait for those times. Everyday is a cause for celebration. The very fact that you are alive, the wondrous world around you, and the special people in your life are all reasons to rejoice. That’s what this book is all about. Over 500 suggestions for living life to the fullest. A compendium of “glass half full” common sense, these witty and wise words from both the rich and famous, as well as the not-so-rich and the not-so-famous, will, I hope, inspire you to make every day a special day. Pianist Artur Rubinstein once said, “To be alive, it’s all a miracle.” Yes indeed, it is all a miracle, and all a cause for celebration. The book is arranged by sections about “Celebrate Today”, “Celebrate Special Days”, “Celebrate the Seasons”, “Celebrate Special People”, and “Celebrate Yourself and Your Work”. to finding peace of mind and happiness inside. there’s always something we could be grateful for. into flame by another human being. who have rekindled this light. 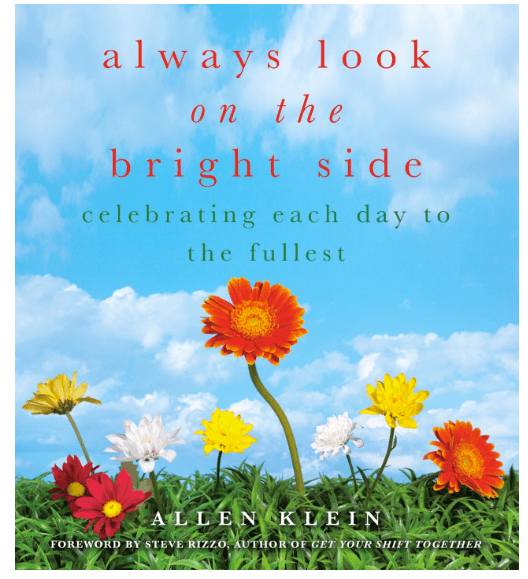 This is a lovely book to leave on the coffee table or bathroom for a little inspiration each day. It is also a great resource for quotes to include in cards or emails to special people on special days.